Have you ever thought about how much social media you use per day? In recent years, social media has become more and more popular with the youth of this generation. With kids getting smartphones at younger ages each year, it has become a concern for some parents and experts. Some think that social media has corrupted our youth and has had a strictly negative effect on them. Others think it boosts their confidence and self-esteem. Studies with experts show that there are both positive and negative outlooks with different social media outlets. The social media uprising has had a major influence on teens’ social skills and communication abilities. They lack the ability to communicate from beyond a screen. Kids depend so much on communicating over social media that they could get more anxious talking to someone in person. In a study conducted by Dr. Donna Wick, a clinical and developmental psychologist, she explained that “ Kids text all sorts of things that you would never in a million years contemplate saying to anyone’s face.” They use social media to hide behind when they want to say how they really feel. It makes kids think that it is easier to do or say things over texts rather than in person. 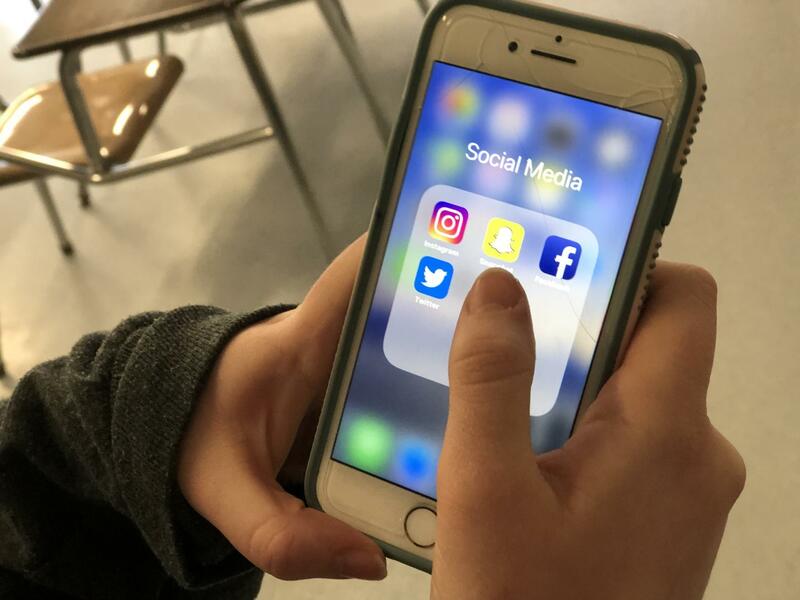 “You aren’t hearing the effect that your words are having on another person,” stated in the article “Social Media Effects on Teens”. If a teen is texting a friend and they say something hurtful and not purposely meaning to they could always cover it up with a quick “JK” and a laughing face emoji, but in person what you say is what you really mean and there is no covering it up. What can parents do it help this problem? Kids learn and develop habits they see their parents doing on a daily basis, especially with younger parents who use social media. Instead of checking your Facebook feed in the morning before children head off to school, make sure you give them undivided attention. Then when they are gone, you can check. “ It’s the mini moments of disconnection, when parents are too focused on their own devices and screens, that dilute the parent-child relationship,” said Dr. Steiner-Adair Warns, a clinical psychologist. Kids might feel as if the parents don’t pay attention to them or that they are too busy for the child. Kids will learn to disconnect from parents and connect more to social media in order to get the attention that they lack from their parents. With kids becoming more addicted to phones and social media, parents should try to limit the use of their phones when spending time with children, in order to strengthen the parent-child bond. While social media has become a target for negative activity, there are many positives to using it as well. People do, in fact, use social media as a positive outlet. Expression is one of the biggest reasons people use social media. Teens express themselves in a creative and professional way to simply get their name out there. According to The Washington Post, “ Although there are some risks to putting your work online, it’s possible to do it safely, and it can actually help teens get their stuff noticed by schools, employers and mentors.” Putting your work out there is a great way to get noticed and advance yourself for possible opportunities in the future. Washington Post also stated that twenty-five percent of teens say that social media makes them less lonely. Eighteen percent say it makes them feel better about themselves. Even though there are many positives to social media, adults have seen the shift in this generation from people not using social media to people who can’t go a day without using it. Danielle Weitman, a dance instructor at East Coast Dance Company, has been instructing dance for nine years and has seen the shift in teens and young adults who use social media more often than they should. “Far too often people share so much of what they do for ‘likes’ and comments which can cause insecurity and leaving people to seek constant validation from others. Not only can chasing the likes and followers become addicting, but it also can open the door of comparing to others,” Ms. Weitman said in a brief interview. It is true that chasing likes can be addicting. People want that validation that their followers like what they are posting. If they don’t reach a certain amount of likes, they might feel like it was a bad post and delete it. Far too often, people compare each other’s posts and of someone else gets more likes than the other, that person may start chasing to get more followers. Ms. Weitman also talked about her own personal experiences with social media. Social media can make people overall feel bad about themselves and make them feel great all in one. Seeking the validation and chasing the followers is becoming an epidemic in a way. As a society, there may need to be a change in the upcoming years with the amount of social media usage. “Replace the negative routine of checking your social media with a new routine,” suggested by Forbes online. Realizing there is some sort of addiction is the first step in order to make a change. In order to make advances in a change, limit yourself to how often you check your phone. Teens are so consumed with social media that they’ve lost touch with humanity. Limiting time on social media or even checking your phone can make a difference. Teens need to take a step back from their phones and start doing activities or going places without them. Live in the now instead of through a camera lens. Sit down and learn something verbally instead of looking it up on the internet. Teens should try to set an example for the next generation, so they do not get addicted to their phones. There is still time to disconnect the phone and reconnect to society.